Description: Boston Seaman's Friend Soc Inc is a business categorized under hotels & motels, which is part of the larger category hotels & motels. 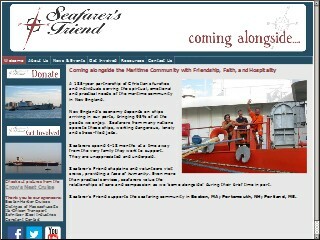 Boston Seaman's Friend Soc Inc is located at the address 25 Williams St in Chelsea, Massachusetts 02150-3811. The Executive Director is Edward Coates who can be contacted at (617)426-1665. Location & access map for "Boston Seaman's Friend Soc Inc"